One of the many areas of overlap between science and Christianity is that they are both seeking the Truth. The attainment of truth is often likened to climbing a mountain, and any hiker or climber can immediately understand why. Not only is it hard to do, but once you’re at the top you can suddenly see everything. What was previously obscured is now laid out clearly; what you saw in part from the plains you see in full from the heights. It’s a powerful metaphor, so let’s extend it a bit. I attended a forum last week entitled “Is there certainty beyond science?”. As one of the speakers pointed out, perhaps a useful starting question would be, “Is there certainty within science?”, but the title did raise some interesting questions about what we mean by the words “certainty” and “science”. Certainly (see what I did there?) there seems to be a common assumption that science at least aims to find certainty in the midst of confusion. The general perception is that science rigorously follows a trail of evidence to reach conclusions which can be claimed with a high degree of confidence. And there are even mechanisms to try and assess the degree of uncertainty in a given scientific theorem (although the willingness of adherents to acknowledge that uncertainty may be somewhat hit-and-miss). What is often missing from the conversation is the impact of methodological assumptions on the usefulness of the conclusions which result from a particular methodology. Let’s look at mathematics as an extreme example. Maths operates within the ultimate abstraction. It is a realm of pure ideas. This has advantages: because the system is entirely conceptual, the laws can be rigorously defined. This allows us to “prove” mathematical theorems by conclusively demonstrating a logical consistency. But to apply a mathematical concept to anything real, we must project from the abstraction back to the real world, where we cannot rigorously define the laws. Some of the projections are useful: arithmetic operations are easily projected onto everyday objects (so “3 bananas + 4 bananas” can easily be understood as seven actual bananas). 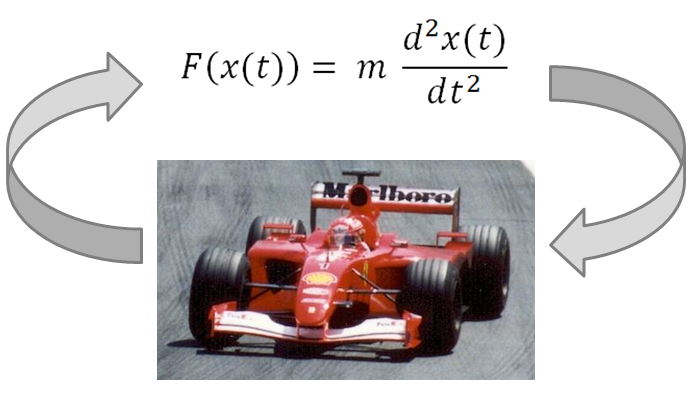 Some projections are less straightforward: the relationship between a second-order differential equation and the acceleration of a car under constant force is not quite as intuitive. Science also operates within an abstraction. The realm of science is limited by its methodological assumptions, such as philosophical naturalism and the regularity of nature. These assumptions are useful in that they allow us to limit the potential interactions that we investigate to those which are amenable to the tools of science. In other words, we limit what we will accept as an explanation of phenomena, and this allows us to define our area of investigation. But in making these assumptions, we have created an abstraction of the real world, and it is this abstraction that we investigate rather than the real world itself. As in the case of mathematics, the conclusions may or may not be readily suited to being projected back into our understanding of the real world. It is worth noting that any of our abstractions are only definable from outside the system. We say that mathematics operates within a logically consistent and rigorously defined framework, but its logical consistency cannot be proven mathematically. (This isn’t a case of “It hasn’t been done yet”, this is a case of “It’s impossible even in principle”). We make a working assumption of methodological naturalism when we engage in scientific research, but we cannot scientifically demonstrate the validity of such an assumption. Perhaps more interestingly, this also implies that we cannot fully define the operational parameters of the real world from within the system. 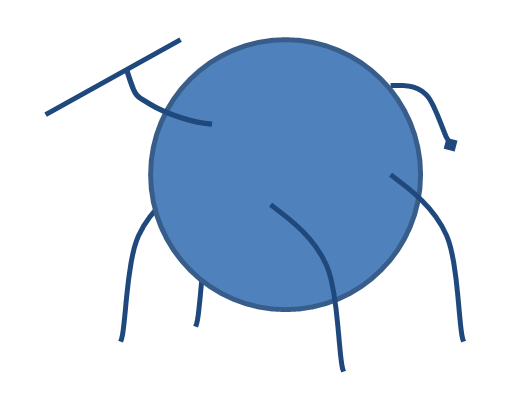 So, I recently wrote an essay (“On Spherical Cows and the Search for Truth“) about modelling and its relationship to reality, and also how modelling helps to illustrate how scientific theories work. My main point was that models (and other theories) are limited by their assumptions, and it is generally disastrous to apply a model out of its original context and objectives, because we almost invariably end up inheriting inappropriate assumptions. At the same time, I’m reading Fee & Stuart’s How to Read the Bible For All Its Worth, and thus I’m thinking a lot about appropriate exegesis and hermeneutics in a Biblical context. I see many parallels between the ideas presented in the modelling essay and the approach described by Fee and Stuart. Thinking about this more, I’m wondering if there isn’t something to be said for a similar approach to scriptural interpretation as we use for scientific theories. With science, we believe that there is an underlying truth that is the natural order, and we build and test theories (and models) to try and understand that natural order better. Our theories are not the fullness of nature, but they represent (sometimes well, sometimes poorly) certain aspects of nature. Similarly, we believe that the Bible contains God’s truth, and remains relevant to all of us at all times. But to understand a given passage, we must first understand the context and literary style of the writing (the exegesis part), and then interpret the text within that framework (the hermeneutical part). But our interpretation of the scripture remains a representation of the Truth, rather than being the fullness of the Truth. In the same way that we cannot take a scientific theory which describes the interaction of sub-atomic particles at a quantum scale and apply it to larger scales, we cannot take a hermeneutic which is appropriate for one book and apply it to the whole Bible. Our hermeneutic for a particular passage incorporates assumptions that are specific to that book, and we risk inheriting inappropriate assumptions in using the same hermeneutic for another passage. It is equally inappropriate to use a literal historical hermeneutic from (for instance) 1 Samuel and apply it to the Psalms as it is to use a theory from the field of genetics and apply it to psychology. This is still very much at the idea stage, so I’d appreciate your thoughts! This post and Part I have been edited and combined into a single essay. The full version can be found here. Part I of this essay was an overview of how models (and scientific inquiry in general) actually work. Explanations should be as simple as possible, but no simpler. We make sense of complex systems by building models. Models are built for specific objectives and incorporate assumptions. The usefulness of a model depends on the validity of those assumptions. We cannot modify our objectives without re-examining our assumptions. Models can never be verified (shown to be true), only confirmed (shown to be useful). In this section, I want to explore the role of science in the search for ultimate truth. We need to recognise the limitations of science as a method of pursuing truth, and with our newly-acquired understanding of models I hope that it will be clearer what those limitations are. The world we observe actually exists and is consistent. We can use our reason and senses to explore it. The material world is all that there is. So we must ask ourselves: how useful is naturalism as an assumption? Assumption are fundamental to understanding the usefulness of the outputs of a model. But the assumptions underlying the scientific method will also influence the data that we subsequently look for. This limitation has been noted by philosopher Karl Popper and historian of science Thomas Kuhn, who notes that the “route from theory to measurement can almost never be traveled backward”. Theories also tend to build on each other, usually without revisiting the underlying assumptions. We will never find what we do not seek and are unwilling to see. In their correct place, of course, models are very useful. 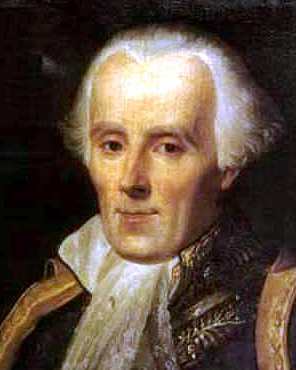 The great French mathematician Pierre-Simon Laplace used Newton’s model of gravity to calculate the motion of the heavens (as well as for predicting ballistics) in his masterpiece Mécanique céleste. Napoleon asked to see the manuscript, being greatly interested in ballistics. According to the story, after perusing the equations Napoleon turned to Laplace and asked, “Where is God in your book?” To which Laplace famously replied, “Je n’avais pas besoin de cette hypothèse-là.” (“I had no need of that hypothesis.”). Laplace was perfectly correct. He was using calculus to predict the motions of celestial bodies and bodies moving through air, and it is not useful to incorporate theological complications into that prediction. Remember: as simple as possible, but no simpler. Of course, Laplace also didn’t include gravitational attraction from other stars in calculating the orbits of the planets. In the real world, we believe that other stars do exert gravitational attraction, but it is a useful simplification in our model that we ignore them at the scale of our solar system. But let us never confuse useful with true. So what can science really tell us, if not truth? Well, within the limitations of its assumptions, it can give us great insight into process and the nature of the material universe. But it cannot, by definition, tell us anything about the immaterial: including the supernatural, philosophical reasoning and morality. Indeed, science cannot even comment on the validity of its own assumptions: they must simply be accepted at face value for any science to be done at all. As per Gödel’s Incompleteness Theorem, they are postulates which cannot be proven by the system itself. In our search for insight into the supernatural, we’re out of the territory of science. And recall the fundamental principle of modelling: we cannot change our objectives without re-evaluating our assumptions. So we can’t even adapt any current science to deal with these questions: science is simply not equipped for the task. I do not propose allowing supernatural explanations into science. But I do suggest that it is very misleading to imply that science in any way supports a materialist worldview. This is mere question-begging: scientific theory, by its very assumptions, operates within a materialist worldview. But we do not live in “science”. We live in reality. Are we searching for truth, or are we searching for a theory nested in unprovable assumptions? If the supernatural exists, it is beyond the tools of science. But if we have a supernatural aspect to our existence, it is not beyond our experience. To limit ourselves wholly to a materialist view may deprive us of fully experiencing a part of ourselves. Are you missing out on something important by clinging to rigid materialism, perhaps because of a mistaken belief that such a worldview has scientific justification? Is there anything more to life? Not to science. To life. This post and Part II have been edited and combined into a single essay. The full version can be found here. It lets me play with cool toys, it pays my bills, it helps me understand the world. But I have to phrase that last part carefully. It doesn’t completely explain the world, it helps me understand the world. That’s because science deals with models. And assumptions lead to limitations. This may not be a bad thing. Depending what we are trying to understand, and the level of detail at which we are trying to understand it, the assumptions may greatly simplify our work without interfering with our objectives. But a clear statement of the assumptions is vital for anyone trying to assess the usefulness of a model in addressing a particular question. Let me illustrate all this with cows. Suppose we need a quick estimate of the mass of a cow. (Imagine we’re in a rural setting far from a WiFi signal and can’t use Google). With just a pencil and piece of paper, how would we get a quick first-order approximation? …and we know that most animals are approximately the density of water (hence the fact that they float at the surface of water but are mostly submerged). And we know from school that water is 1000kg per cubic metre. (For the USA readers, sorry, but I’m going to use SI units for this. One of the beauties of a rational measurement system is that it makes this mental arithmetic a lot easier). So all we have to do is estimate the volume of a cow and we’re home free. You’ll note that the legs, tail, ears and head and neck are all drawn in lines: that’s because we’re going to ignore them in our calculation. If we make the cylinder a little bigger than the cow’s body, we’ll be able to safely assume that the “small skinny bits” could fit in the left-over spaces, and the overall volume will be about right. Remember this is just a first-order approximation. So now we walk over to the cow, and try and gauge the dimensions of our cylinder. Crunching the numbers, (and assuming π=3.2 to make the maths easier), this comes out at 1.2m³. Recalling the density of water, our final estimate is 1.2tonnes for the mass of a cow. Which is actually pretty decent: steers are about 750kg, the heaviest bulls are about 1750kg, so 1200kg is the right ballpark. 1. Define your objectives. 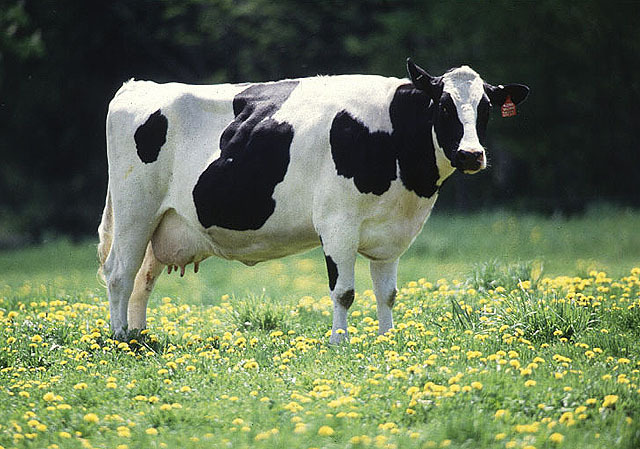 (Give a rough estimate the mass of the cow). 2. Make assumptions in light of the objectives. (The skinny/pointy bits can be ignored. The body can be represented by a cylinder. The density can be approximated by water). 4. Extrapolate from the model results back to the real world. (Our cylindrical model weighs 1.2 tonnes → we estimate that an actual cow weighs approximately 1.2 tonnes). Thus our model of reality helps us to understand reality by simplifying it and then extrapolating the results back to reality. Einstein famously said that an explanation should be as simple as possible, but no simpler. How do we decide how simple to make it? By understanding our objectives and making assumptions in light of those objectives. The assumptions are all valid based on the starting objective that we only need a rough estimate. If we need an accurate mass (ie., our objectives change), those assumptions don’t hold anymore. Now let’s watch it all go wrong. Suppose we now ask ourselves: “What is the surface area of a cow?” (Don’t ask why we’re pondering mathematical questions in a cow paddock, just run with it). …so we’ll take our cylinder and crunch the numbers again. This is easy! 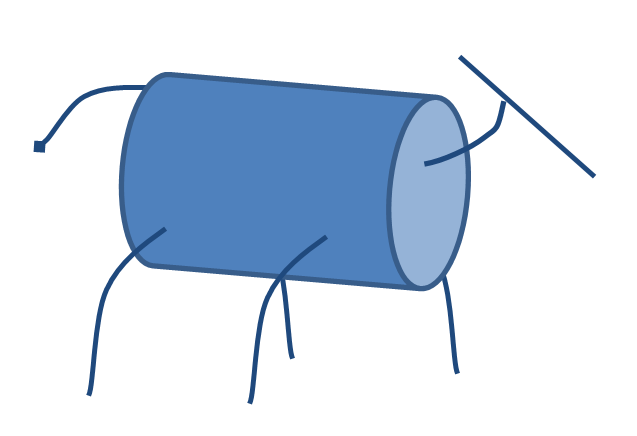 In using the cylinder, we are mistaking our model cow for an actual cow. In modelling terms, we have modified our objectives without revisiting our assumptions. The assumption that “all the pointy bits don’t make much difference” is true for volume, but it is not true for surface area: they make a very significant contribution to that value. Thus our cylindrical cow is a very poor model for estimating surface area. Modifying the objectives of a model will generally require a new model. At the very least, all the assumptions must be revisited and evaluated if our model results will retain any relevance in the real world. This is also true, of course, of any unconscious assumptions we may have made. Science is basically a giant collection of models. The process that I’ve just described is analogous to the entire scientific method. What we do in science is look at data, try and imagine an underlying process which could explain it, and then build a conceptual model. (The models are often mathematical – but not always – because mathematics allows us to express concepts simply and clearly in a well-defined system). We then try and imagine what other observations would be consistent with that model, and we look for support for it. If it reliably predicts actual observations (or in scientific jargon, if it has good explanatory power), we might regard the model as having been confirmed. This is the stage at which we may move from regarding it as an hypothesis to calling it a theory. What we cannot do in science is verify a model. Verification (from the Latin “verus”, meaning “truth”), implies that the model is actually the truth. Models are useful. The whole point of a model is to help us understand what is otherwise incomprehensible. But at all times we must remember that any model (including a scientific theory) is not truth. We’ll look at the implications that all this has for science and the search for truth in Part II.